Go back to 2008 and Will Smith was on the back end of an incredible ten-plus year run of starring roles and box office success. 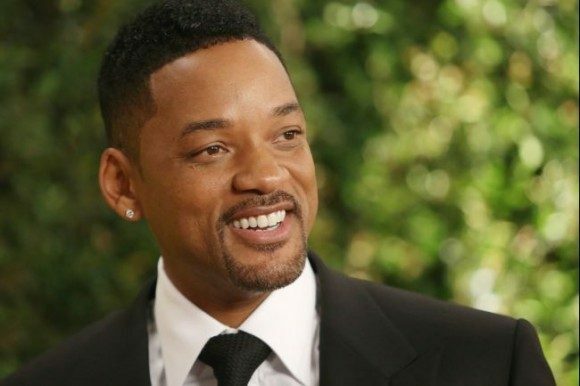 Since then, he’s appeared in just two movies – Men in Black 3 and After Earth – and produced a handful more (such as the Karate Kid reboot starring his son Jaden). That trend could be headed for a reversal soon, though. In addition to what would appear to be a fairly minor role in the upcoming Winter’s Tale, Smith has a pair of starring roles lined up that look to be starting production in the relative near future. Smith is attached to star in Edward Zwick’s (Blood Diamond, Love and Other Drugs) next film, the true story account of a Marine who rescued more than 200 people in the aftermath of Hurricane Katrina. The project, patriotically entitled The American Can, is in pre-production and would appear to still be rounding out the cast. The news of the day, however, is that Smith’s other would-be starring vehicle, Focus, now has a co-star lined up. While Smith figures to be battling the elements in The American Can, Focus will pit him against a much more personal foe. The Hollywood Reporter is reporting that Rodrigo Santoro, known to most as Xerxes in 300 and the upcoming 300: Rise of an Empire, will play opposite Smith as a motorsports mogul who hires Smith, playing an experienced con man, to help his team to the top. Among the points of contention will be the affections of a young woman played by Margot Robbie, a rising star soon to appear on the big screen in both About Time and The Wolf of Wall Street. Santoro, a native of Brazil, should feel right at home in the Rio de Janiero centered pic. His is another face that could be in evidence more frequently in the coming year or two. Lately he’s been splitting time between English language Hollywood features and Portuguese pictures from back home, but he’ll soon be seen alongside Natalie Portman, Ewan McGregor, and Joel Edgerton in Jane Got A Gun, which just wrapped principal photography, as well as the aforementioned 300 sequel. He’ll also be reprising his role as Tulio in Rio 2, due out April of next year. Focus is still putting all the pieces together, but figures to movie forward more quickly now that Santoro is attached. The film was written and will be directed by the pair of Glenn Ficarra and John Requa, the pair between I Love You, Phillip Morris and Crazy, Stupid Love. Warner Bros. is overseeing production and will distribute the film.